A falling star, in truth, is a meteorite—a combination of dust and rock falling into the Earth’s atmosphere. As these meteorites fall, they burn up and leave a short-lived trail of light—a meteor. Like stars, meteorites exist in plenty. In much the same way that the universe is constructed, our human realm is in some sense bound by a hierarchy of Hollywood stars and meteorites––the rest of us. And yet, no matter if you are a star or a meteorite, you are bound—sooner or later—to fall into the hands of death. After all, mortality is universal. What makes the difference is what the living make of death, as well as how they treat the memory of the departed. On February 2nd 2014, Philip Seymour Hoffman, a star among stars, departed from the living. Hoffman, aged 46, lost his life to heroin—a drug from which he’d been sober for over twenty years. Despite his enormous success in the acting world, Hoffman seemed quite grounded in both words and looks. This is a rarity, given the extremes to which money, popularity, and the media can lead. Yet, given the actor’s background, Hoffman’s grounded aura might not be all that surprising. This is because Hoffman’s rise to success was gradual, demanding lots of hard work and dedication. In fact, Hoffman embraced the acting world only after exiting the athletic one. Though displaying an affinity for sports from a young age, Hoffman ended his athletic aspirations after suffering a neck injury at the age of 14. Had it not been for this injury, Hoffman might have never joined the theater in high school. And yet, this bold step was partially due to Hoffman’s crush on a young girl who acted in the school theater. Whether this move turned into a budding romance is unknown. Nonetheless, Hoffman’s talent unfolded step by step for the entire world to see. The passion for acting that Hoffman found in high school landed him a spot in NYU’s Tisch School of the Arts. Throughout his college years, Hoffman made extensive use of the theater scene in New York City by discovering internships or usher jobs in working theaters. If anything, acting is a “hands-on” passion, and Hoffman, knowing this, aimed to acquire as much hands-on experience as he could. Years later, after winning the Academy Award for best actor in 2005, Hoffman finished his acceptance speech by congratulating his mother for raising four children single handedly and for taking him to his first play. Although Hoffman had already reached the peak of his career, he was not one to take the ascension for granted. That is, Hoffman worked just as hard at the peak as he did at the base. Hoffman’s place in Hollywood was unconventional. The roles he played showcase the breadth of his talent and personality. For it takes great talent and courage to take on roles of grave complexity. 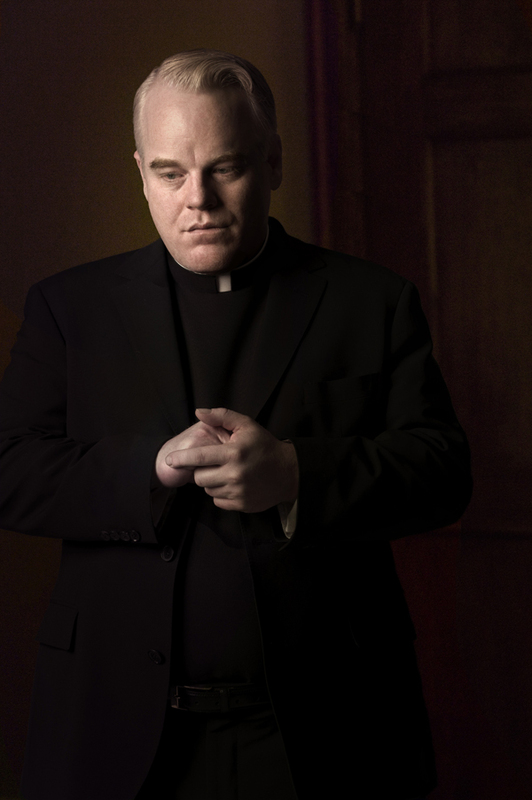 Among these roles are those of Truman Capote and Father Brendan Flynn. The 2005 film “Capote” directed by Bennett Miller is an account of the American author, playwright and screenwriter Truman Capote and his years after the publication of his novel In Cold Blood. 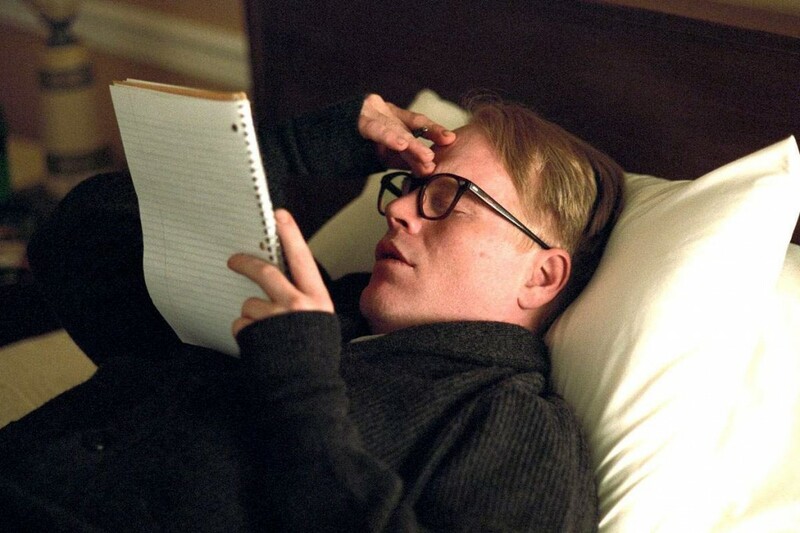 As Capote, Hoffman took on the challenge of portraying an eclectic character—one who claims the acquaintance of people he never met and who develops a close relationship to a killer awaiting execution. The 2008 film “Doubt,” directed by John Patrick Shanley, depicts the confrontation between the principal of a prestigious church school, Sister Aloysius (Meryl Streep) and Father Flynn (Hoffman). Sister Aloysius suspects Father Flynn of having an inappropriate relationship with Donald, a student at the church school whose problems at home reflect in his behavior at school. In this film, Hoffman brings to life a character that is neither innocent nor guilty, but merely seems to leave the people on and off screen always in doubt. Like the character of Father Flynn, the root of Hoffman’s death calls for a state of doubt. In Hoffman’s case, it is hard to tell whether he succumbed to heroin due to his exposure as a star in the public realm, or whether his relapse can be traced back to problems in his private realm. Yet where does one draw the line between the public and private? It could be both. Perhaps it is best, after all, to let the root of his struggle rest in peace with the right to privacy each human being deserves. Not surprisingly, Hoffman’s recent death raises questions, lessons and concerns that should not be forgotten in the grand scheme of things. Who is to blame? Is treatment effective? How can addiction be prevented? Does the guilt lie with Hoffman for buying the drug or with the one who sold it? Indeed, though we are each responsible for our own actions, our actions do not exist in a self-contained bubble. Rather, they are all caught in a causal chain alongside the actions of others. The chain linking the dealer and Hoffman is intertwined in such a way that blame can easily be shifted back and forth to no avail. In any case, there is no question that the drug that killed Hoffman—heroin—is the cause of numerous falling stars. Like Hoffman, each one of these stars found themselves suffering from various difficulties that come with being human. Whether it is the disgruntled teenager seeking means of escape, the stressed-out office worker or the failed businessman, the deathly hand of heroin has no limits, no preference; for all it knows, its next victim could just as well be anybody. Heroin’s indifference towards its victims goes to show that anyone can suffer the same effects of the drug: collapsed veins, constricted pupils, infection of the heart lining, loss of menstrual cycle in women, and liver disease, among others. For all we know, education is the best means to prevention and treatment is far more effective long-term than it is short-term. More than anything, Hoffman was a remarkable star in that his success was not measured in the number of leading roles he played. Rather, Hoffman’s success lies in that he took on both leading and supporting roles with equivalent zest. The scope of characters Hoffman embraced with this zest suggests that, no matter the human condition of the role at hand, each one is equally deserving of an artist’s love and attention for this persona to come alive, for his or her story to be told. Hoffman’s story—though only he will ever know it best—will remain in memory due to the good he performed and the good that marked his personality. For rarely does one come across a star that dresses and approaches the world as humbly as a meteorite.